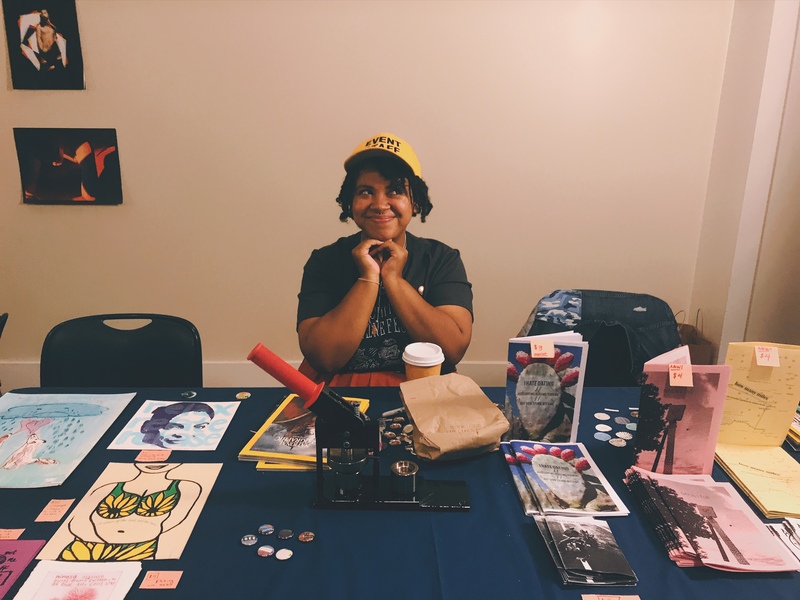 Celina Nicole is a writer, librarian, and maker of zines n’ things. She’s started organizing Richmond Zine Fest in its third year after having attended and then tabled in its first and second years. She’s also a board member for Girls Rock! RVA and Girls Rock Camp Alliance. Her zines include: I Hate Dating, once i fell, and how many miles. You can follow her instagram @celinanicolewrites where she’s in the middle of posting a haiku a day for 365 days. Brian Baynes came to us after he escaped a board game he was trapped in for 15 years. He is an avid collector of pennies, fan of Family Circus and Nancy comics, and researcher of the local punk scene, The Byrd Theatre, and other passions. He is also known for his perfect knowledge of the Taco Bell menu and his ability to grow one of the best beards in Richmond, VA. His zines include: Cool Hiss, Presenting the Byrd Theatre, Time Shifting, and Crunch: A Taco Bell Fanzine. Richmond Zine Fest was founded in 2007 and has had many organizers over the years. These people have included Sarah Maitland, Nicole Introvert, Liz Canfield, Mo Karnage, Taylor Ball, Heidi, Cat Ennis Sears, Danny Rathbun, Mara Hyman, Amy June, and Paige Fulton. Shout out to all of the organizers and volunteers who have kept Richmond Zine Fest going, going, going….